The Series 850 maroon diploma cover is fully padded and measures approximately 11 1/2" x 9" when closed. 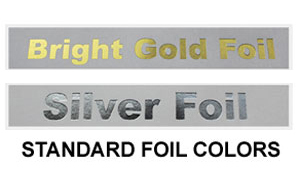 These covers are our pinnacle product and have been used by technical colleges and high schools. The lightly textured, fully padded, leatherette maroon diploma cover surface is of a turned edge construction. 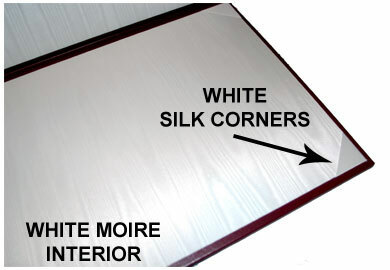 The inside of this maroon diploma cover is a white moire surface with white, silk ribbons on four of the covers. This diploma cover will comfortably hold an 8 1/2" x 11" diploma sheet. This maroon diploma cover is also available in four other colors - black, navy blue, red, and green. If you would like to purchase the maroon diploma cover without the diploma sheets, please visit our "Series 850 Padded Diploma Covers" page. This maroon diploma cover can include lettered foiling on the front or a custom foiled logo or mascot. Lettering can be a maximum of two lines. 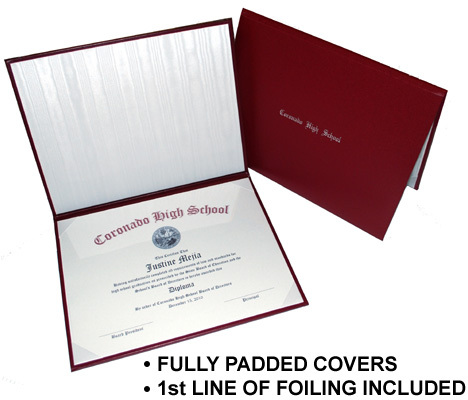 The Series 850 custom diploma sheets are designed to fit into the Series 850 padded diploma covers. 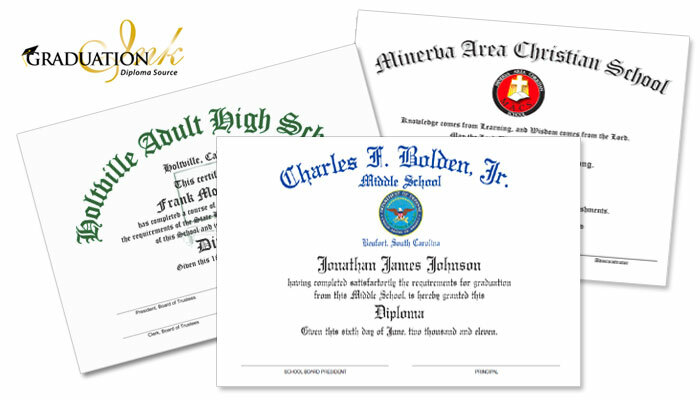 We will design custom diploma sheets or certificates for you free of charge. Diploma sheets are printed on a slightly heavier, white stock paper. If you would like a different paper color, we would be more than happy to fulfill your request.